Is Regis Corporation (NYSE:RGS) a good stock to buy right now? Money managers are in a bearish mood. The number of long hedge fund bets shrunk by 3 recently. Our calculations also showed that RGS isn’t among the 30 most popular stocks among hedge funds. We’re going to take a glance at the recent hedge fund action surrounding Regis Corporation (NYSE:RGS). At Q4’s end, a total of 12 of the hedge funds tracked by Insider Monkey were long this stock, a change of -20% from the second quarter of 2018. 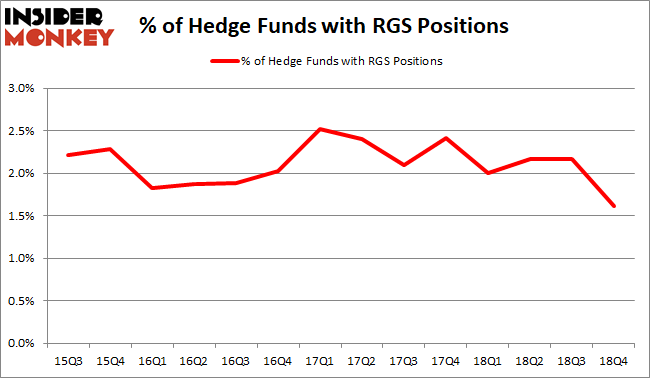 The graph below displays the number of hedge funds with bullish position in RGS over the last 14 quarters. With hedge funds’ capital changing hands, there exists a select group of notable hedge fund managers who were upping their holdings substantially (or already accumulated large positions). When looking at the institutional investors followed by Insider Monkey, Birch Run Capital, managed by Daniel Beltzman and Gergory Smith, holds the largest position in Regis Corporation (NYSE:RGS). Birch Run Capital has a $180.6 million position in the stock, comprising 72.4% of its 13F portfolio. On Birch Run Capital’s heels is Renaissance Technologies, managed by Jim Simons, which holds a $32.7 million position; less than 0.1%% of its 13F portfolio is allocated to the company. Some other members of the smart money that are bullish include D. E. Shaw’s D E Shaw, Robert Rodriguez and Steven Romick’s First Pacific Advisors LLC and Mark N. Diker’s Diker Management. Due to the fact that Regis Corporation (NYSE:RGS) has faced declining sentiment from the smart money, we can see that there lies a certain “tier” of funds who sold off their entire stakes in the third quarter. It’s worth mentioning that Paul Marshall and Ian Wace’s Marshall Wace LLP dropped the biggest investment of the “upper crust” of funds watched by Insider Monkey, comprising an estimated $6.6 million in stock. David Harding’s fund, Winton Capital Management, also said goodbye to its stock, about $6.5 million worth. These bearish behaviors are important to note, as total hedge fund interest fell by 3 funds in the third quarter. 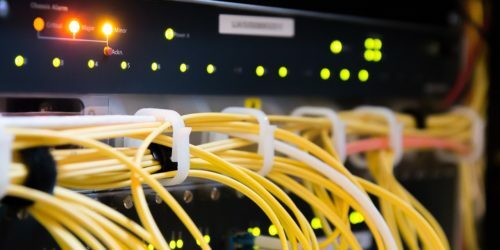 Let’s now review hedge fund activity in other stocks similar to Regis Corporation (NYSE:RGS). These stocks are Tekla Healthcare Investors (NYSE:HQH), United Financial Bancorp, Inc. (NASDAQ:UBNK), AngioDynamics, Inc. (NASDAQ:ANGO), and eHealth, Inc. (NASDAQ:EHTH). This group of stocks’ market valuations are closest to RGS’s market valuation. As you can see these stocks had an average of 10.25 hedge funds with bullish positions and the average amount invested in these stocks was $87 million. That figure was $244 million in RGS’s case. 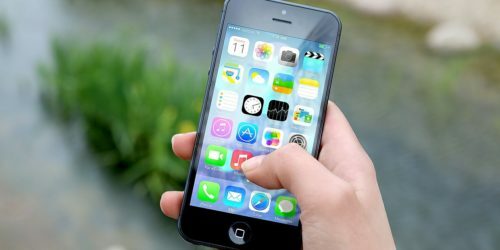 eHealth, Inc. (NASDAQ:EHTH) is the most popular stock in this table. On the other hand Tekla Healthcare Investors (NYSE:HQH) is the least popular one with only 3 bullish hedge fund positions. Regis Corporation (NYSE:RGS) is not the most popular stock in this group but hedge fund interest is still above average. This is a slightly positive signal but we’d rather spend our time researching stocks that hedge funds are piling on. In this regard EHTH might be a better candidate to consider a long position.